I was craving something different, specifically color. So many of my pieces end up being white or another neutral, because that is what I like, and also what sells pretty well in general. But, every now and then I really want a different look. 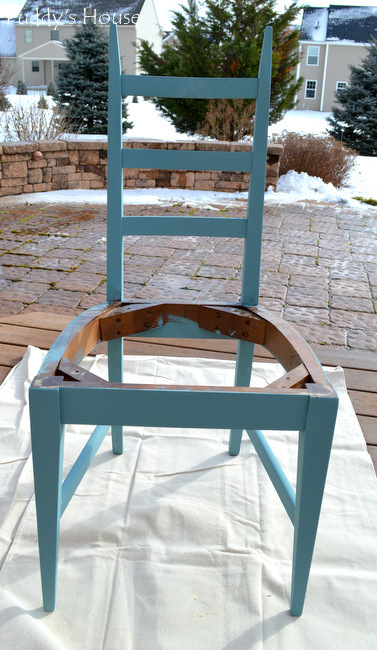 So, for this chair, I mixed colors to get a pretty blue. 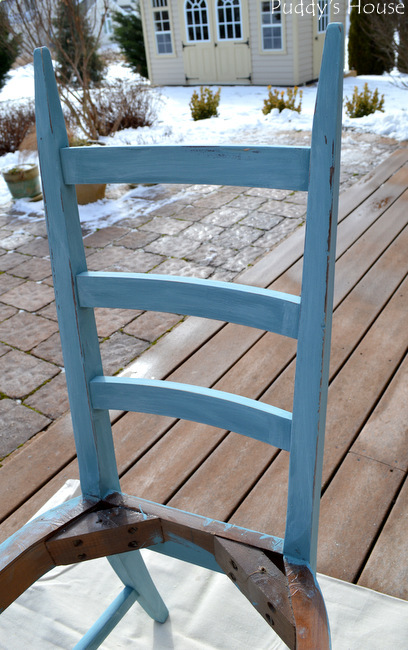 I mixed Annie Sloan Chalk Paint in Aubusson Blue with Paris Grey. It was such a nice color. And, I was totally doing this back in either January or February! Thank goodness that is not the weather outside now! After two coats of paint, I used sandpaper and distressed it to show off the wood. Then, I cleaned it up and gave it a coat of clear wax. 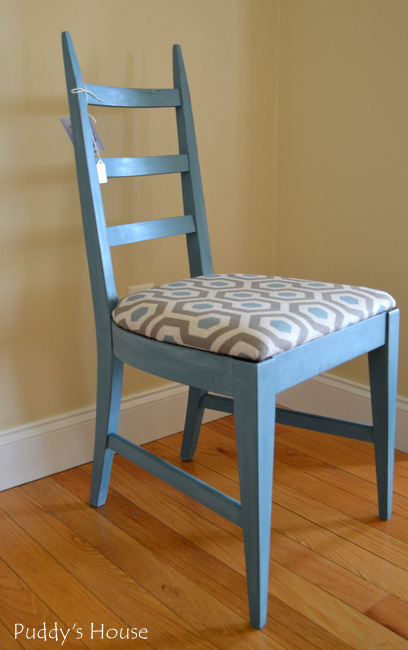 When I started, I had no idea what fabric I was going to put on the seat when I reupholstered it, I just went with the blue paint and decided I would figure it out later. Well, as my luck would have it, I had the perfect match in my supplies. I had gotten this fabric at last year’s Haven Conference from Online Fabric Store. It couldn’t have been a more perfect match. 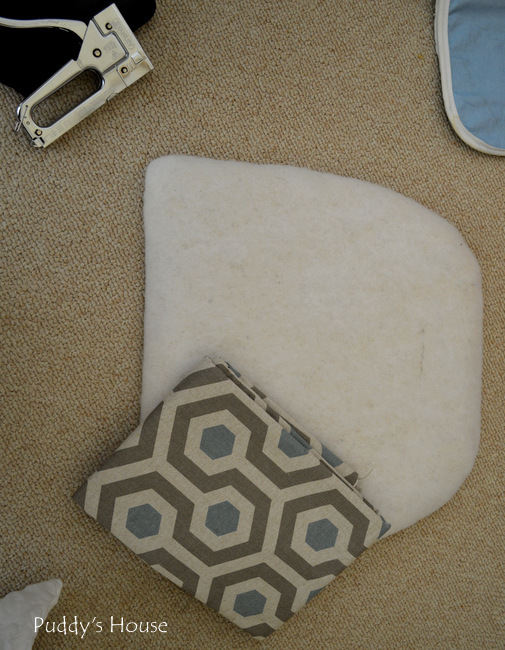 I did not take step by step reupholstering pictures, as I’ve shared many before: here, here and here. 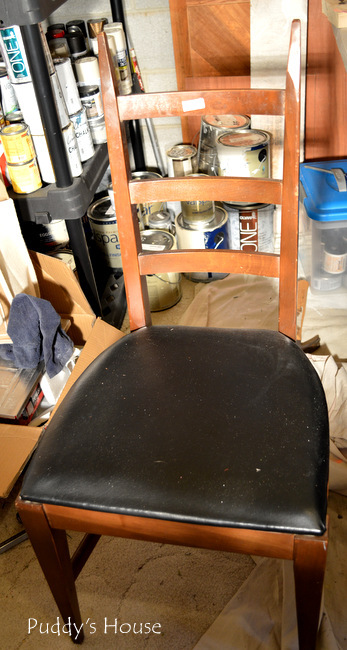 This type of chair is really easy to reupholster. I added new batting, stapled it on the seat bottom, and then added the fabric and stapled it. Then, I just screwed it back on and it was done. I love how this chair turned out. And, when I posted it on Instagram, way back then, everyone loved it too. 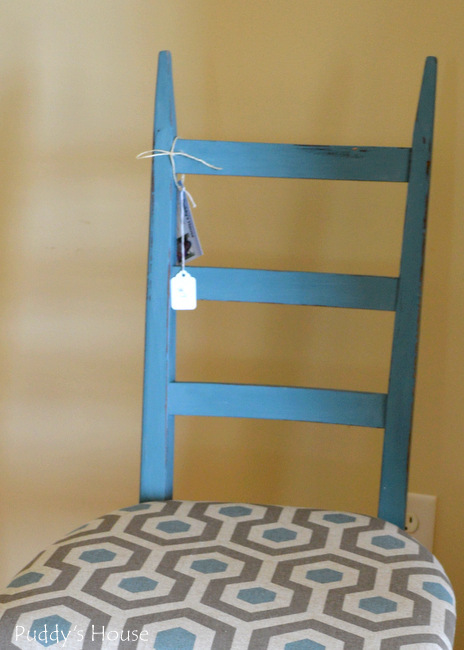 I snapped these pictures quickly as I was taking this chair to the shop to sell, and it sold quickly! 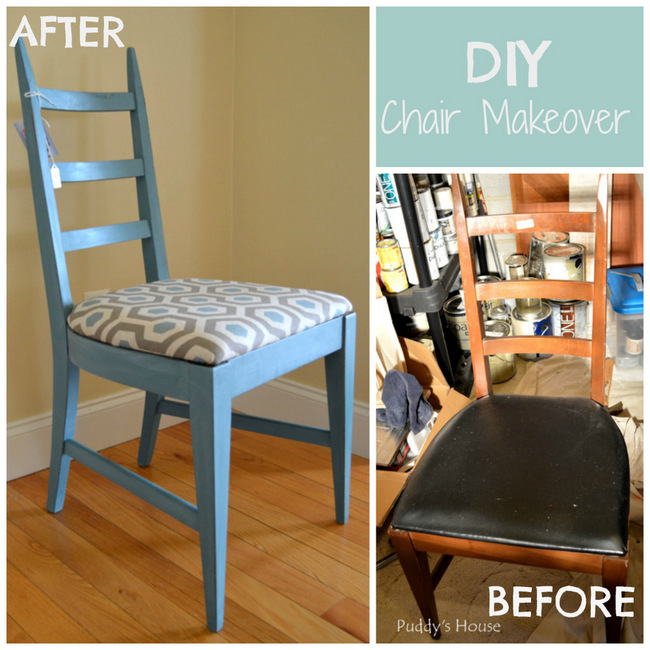 So, I think for $1.50 and some paint and free fabric, it was a pretty successful makeover. Have you had any nice makeovers lately to share?